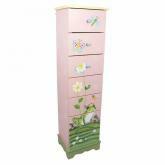 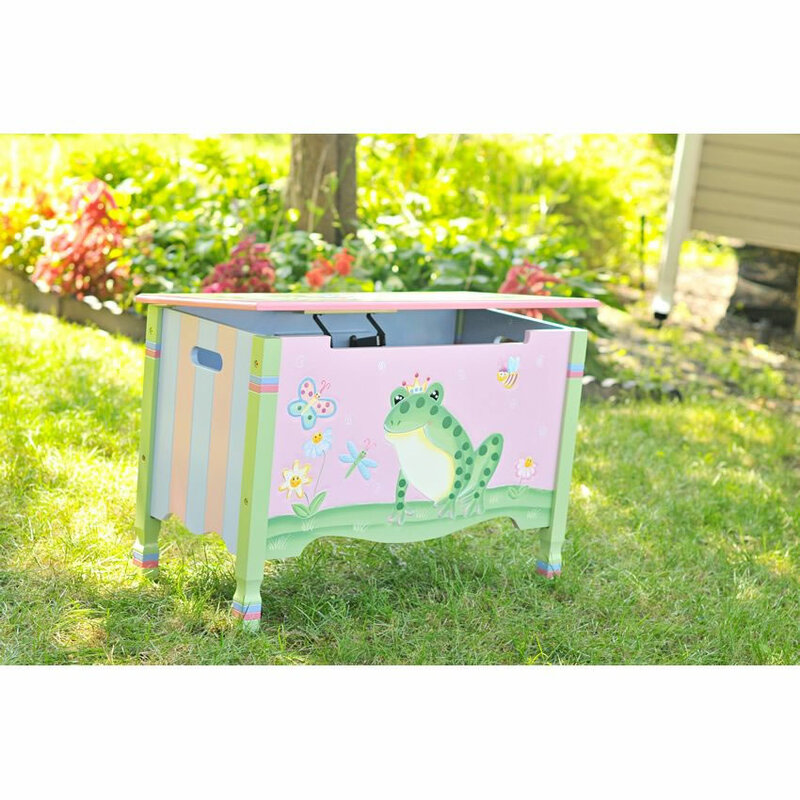 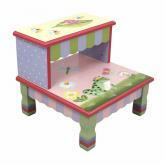 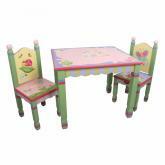 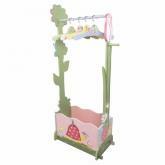 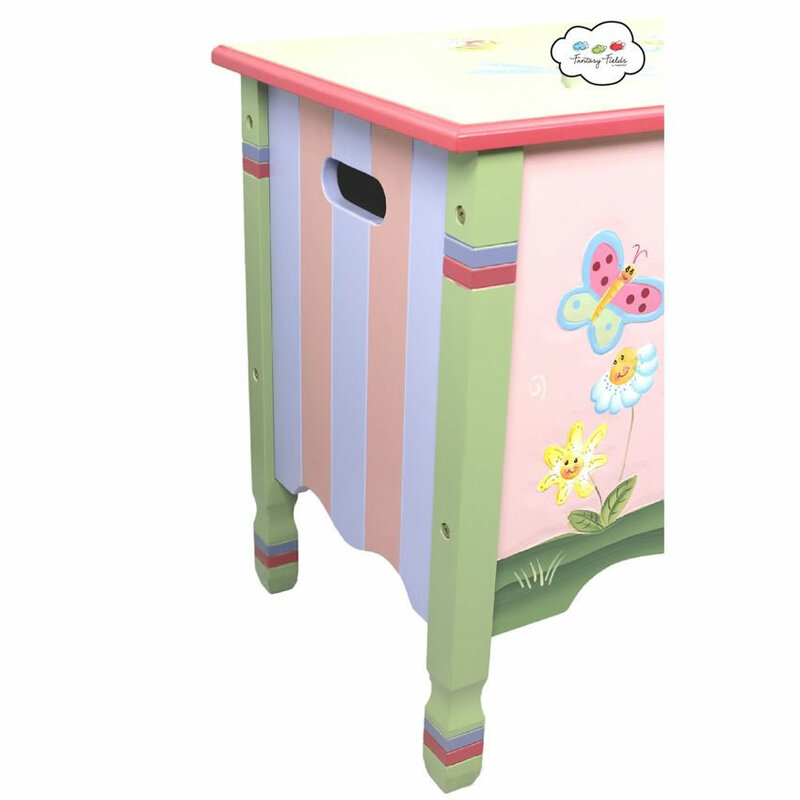 Handpainted Frog Princess Toy Box - The frog princess toy box is hand painted in cheerful shades of pink, green, lavender, and yellow. 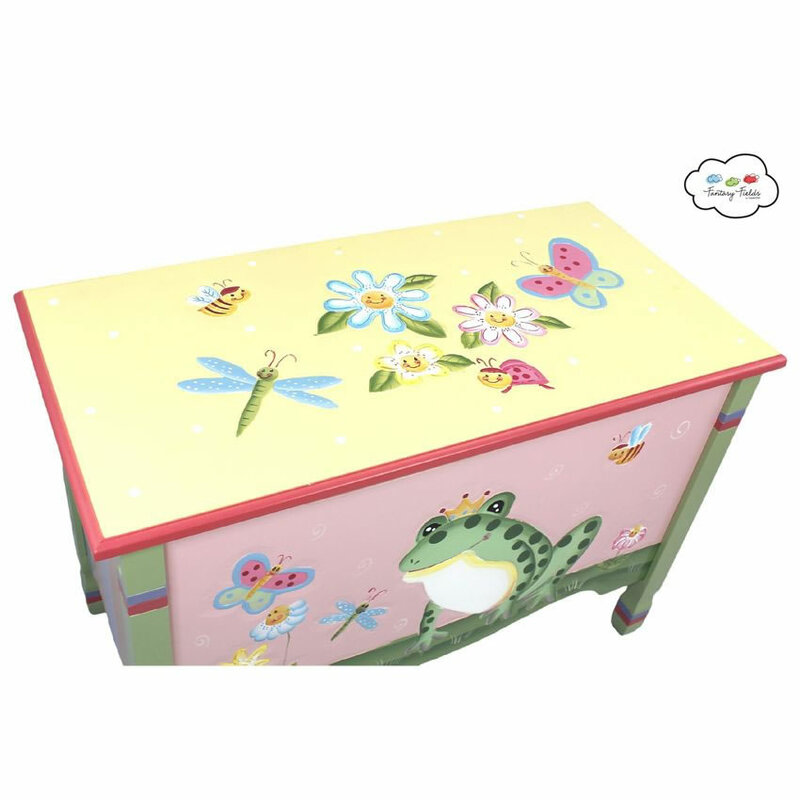 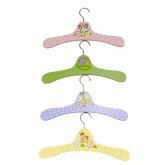 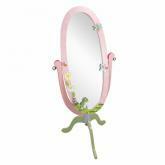 The adorable frog princess is surrounded by smiling flowers, bumble bees, butterflies, and dragonflies. 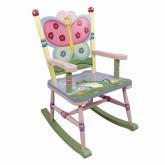 It includes stunning hand carved details that pictures simply can't capture. 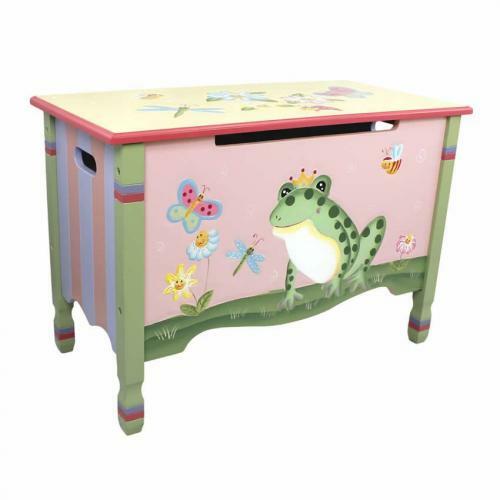 The frog princess, flowers, and all of the flying friends have 3-dimensional hand carved and hand painted details that really make the design "pop." 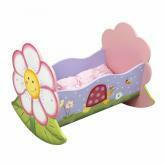 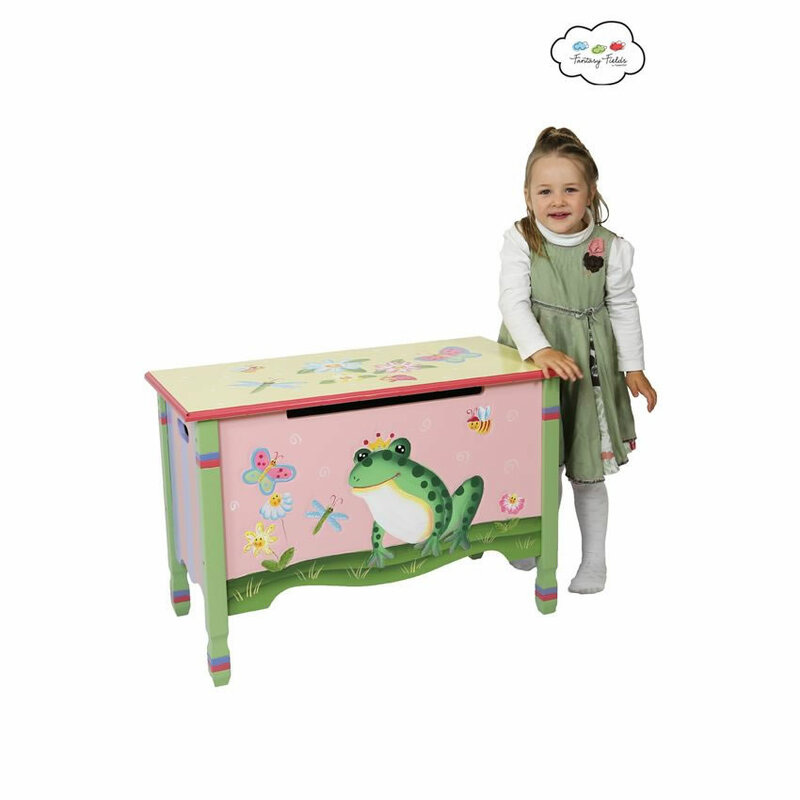 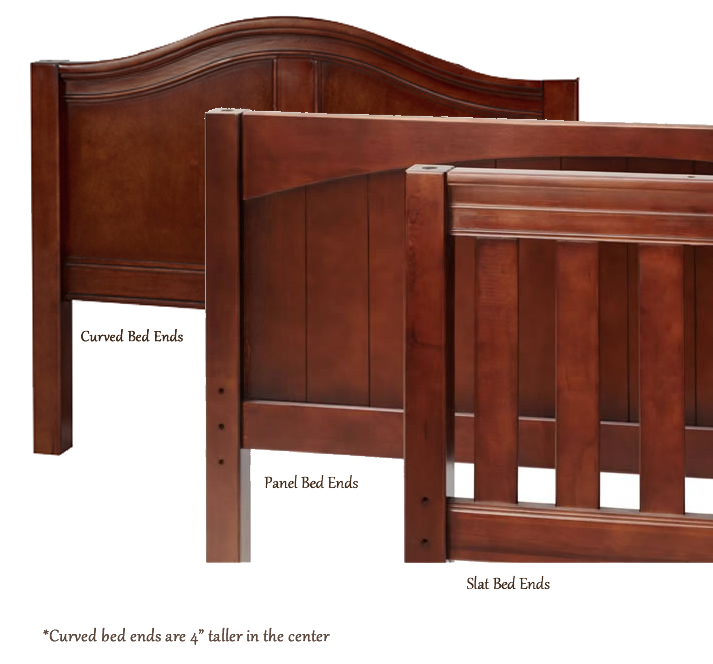 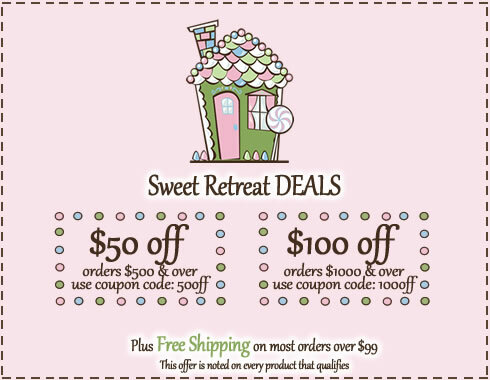 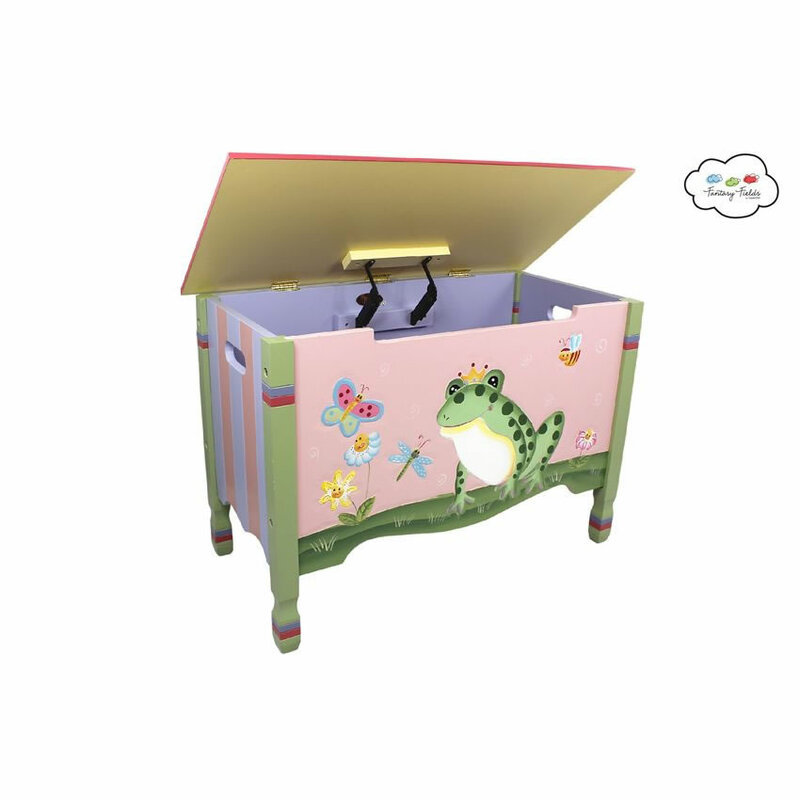 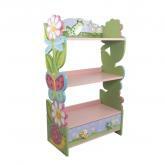 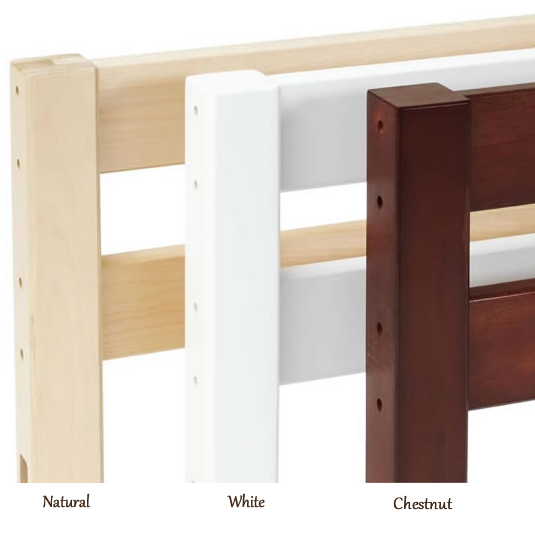 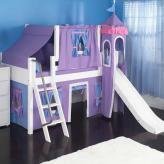 The frog princess toy box is sure to become a family heirloom that will be passed down for generations. 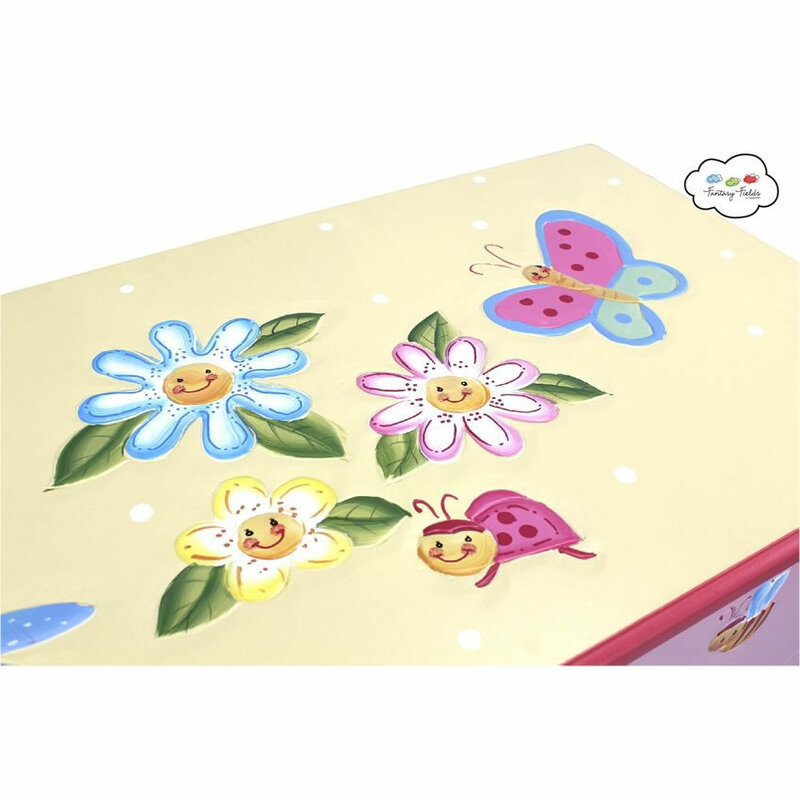 Make clean-up a breeze with this adorable, handpainted toy box.